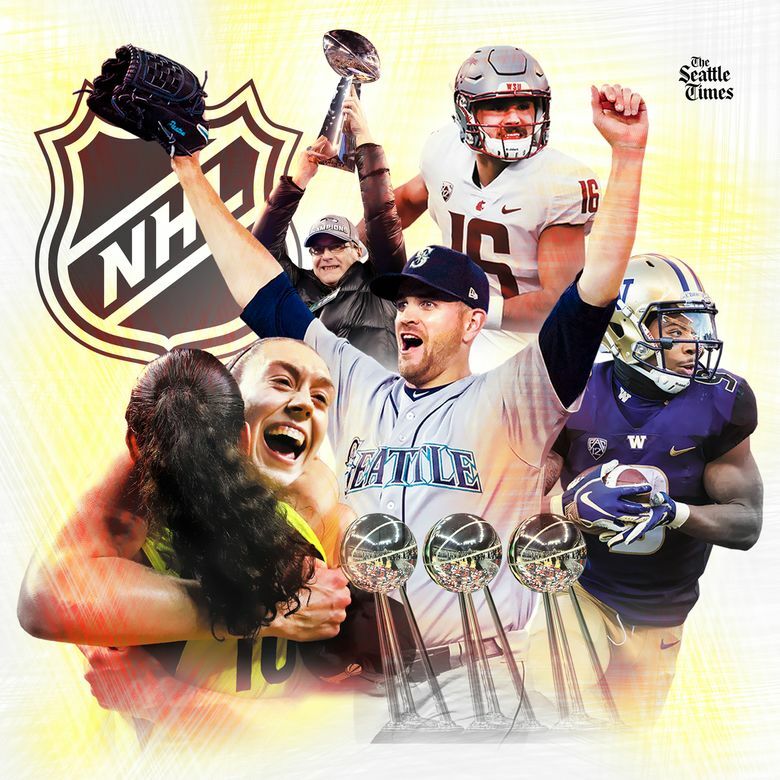 18 in ’18: Who ruled Seattle sports this year? 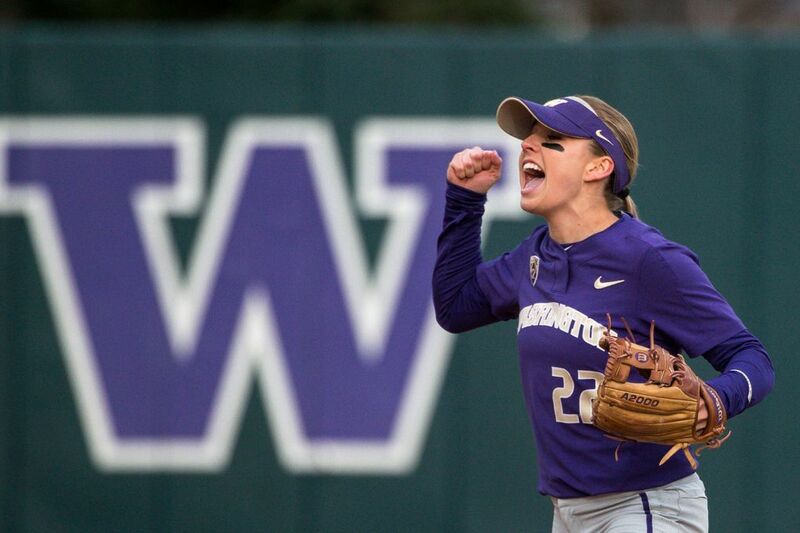 Nine years after falling in love with the UW softball team while watching the Huskies win the national title from her home in Ceres, Calif., Bates led Washington to the championship series in the College World Series, which the Huskies lost in two games to Florida State. But it was still a great run for the Huskies and for Bates, their sophomore shortstop. She led the Huskies in hitting (.389) and on-base percentage (.471) and was a catalyst for the offense, batting No. 2 in the order. She was an All-American and the Pac-12 Defensive Player of the Year. 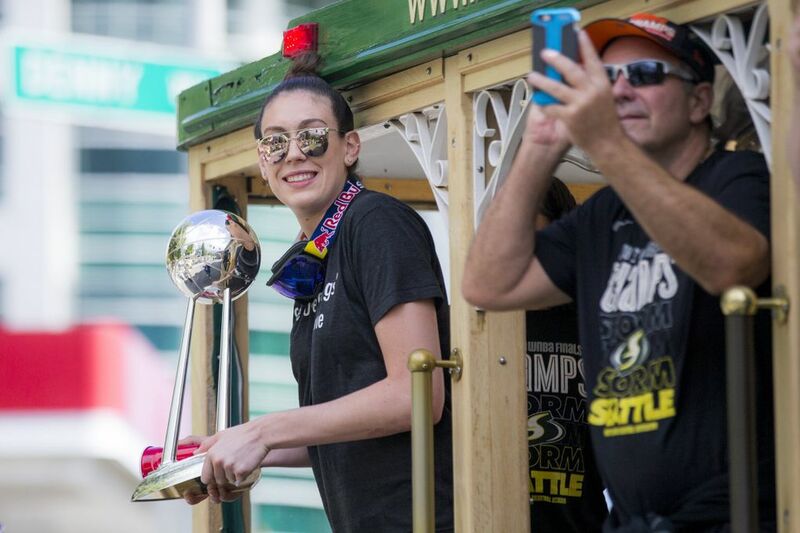 Last season, Bird and the Storm won their third WNBA title. In her 16th season (she sat out 2013 due to injury), Bird was better than ever in many ways. She tallied career highs in assists (7.1 per game), field-goal percentage (46.6 percent) and three-point percentage (44.8). She also averaged 10.1 points and 1.9 turnovers. Not only that, Bird delivered the performance of the 2018 WNBA playoffs in a win-or-go-home Game 5 semifinal matchup against rival Phoenix. Forty-eight hours after breaking her nose, Bird donned a face mask and scored 14 of her 22 points in the fourth quarter to erase a four-point deficit in the 94-84 win. Bird, 38, also has become a part of a trailblazing group of women in the NBA and is working as a basketball operations associate for the Denver Nuggets. 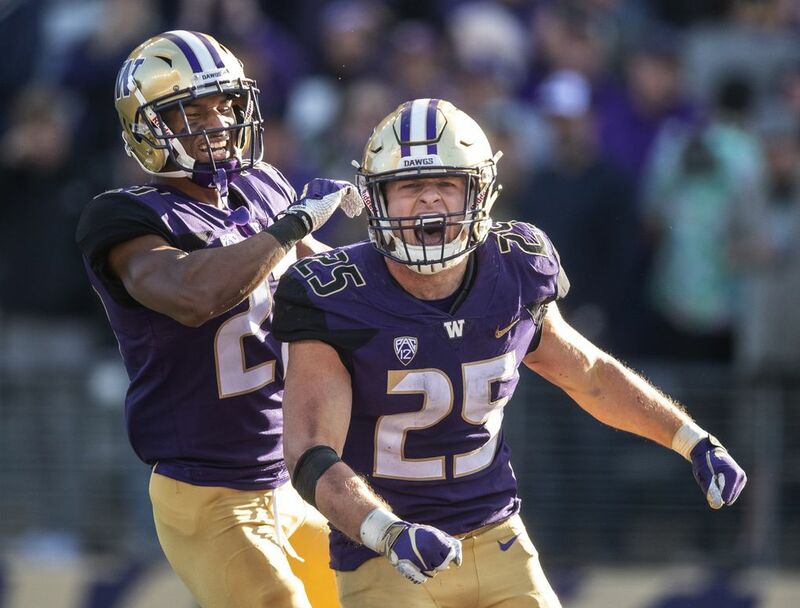 He’s not the biggest linebacker the Huskies have had, but Burr-Kirven’s combination of speed, instincts and intelligence has made him one of the most productive linebackers in program history. “BBK” finished the regular season with 165 tackles, the most in major college football and the most by a Husky since 1989. In early December, the 6-foot, 221-pound senior from Menlo Park, Calif., was named the Pac-12’s Pat Tillman Defensive Player of the Year and the Pac-12’s Scholar-Athlete of the Year, the first football player in the 12-year history of the academic award to win both honors. Burr-Kirven carries the Pac-12’s No. 1 defense on his back and a 3.69 grade-point average in comparative literature (cinema studies). The 67-year-old coach began his ninth season with the Seahawks facing more questions than ever. 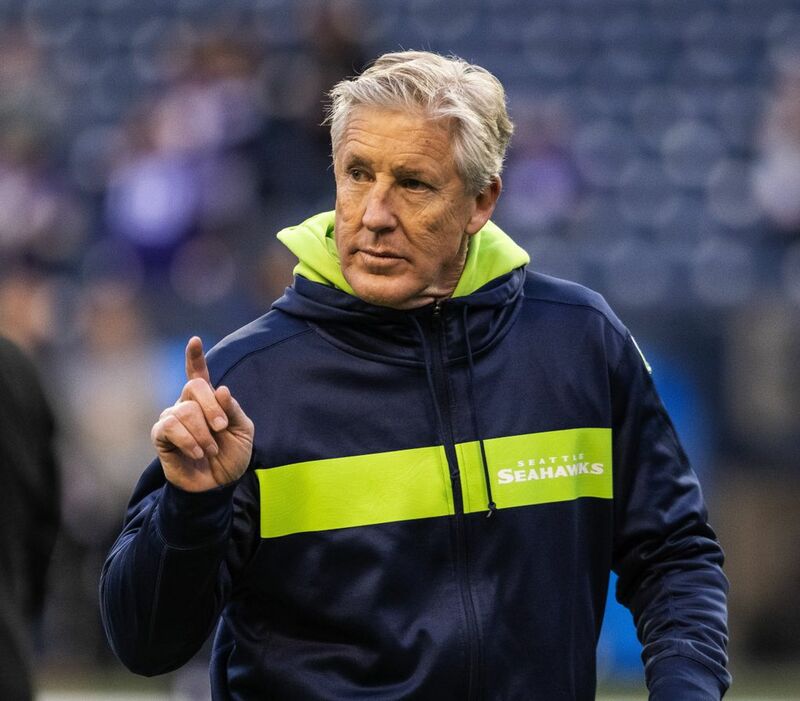 Carroll orchestrated an offseason overhaul of the coaching staff as well as shipping out some of the team’s biggest-name players, such as cornerback Richard Sherman and defensive tackle Michael Bennett. Carroll saw the changes as a way to create preferred schemes — specifically, getting back to running the ball well — and rejuvenating the team and coaching staff with “newness,” a word Carroll used many times, and hunger. The Seahawks stumbled out of the gates (an 0-2 start), which led to more debate about his future, but the plan seems to be working with Seattle back in the playoffs for the seventh time in nine years under Carroll, who has at least another three years left on his contract. With a fastball that touches 100 mph, a nasty, biting slider, a whip-like arm action and a delivery that’s fitting for his Gumby-like frame, Diaz put together the best season by a reliever in team history. The 24-year-old converted 57 of 61 save opportunities while posting a 1.96 ERA with 124 strikeouts and 17 walks in 73 appearances. The 57 saves tied White Sox closer Bobby Thigpen’s total in 1990 for the second-most in MLB history. Francisco Rodriguez, with 62 saves in 2008 with the Angels, holds the MLB record. Diaz became the second pitcher with least 50 saves and 100 strikeouts in a season, joining the Dodgers’ Eric Gagne. 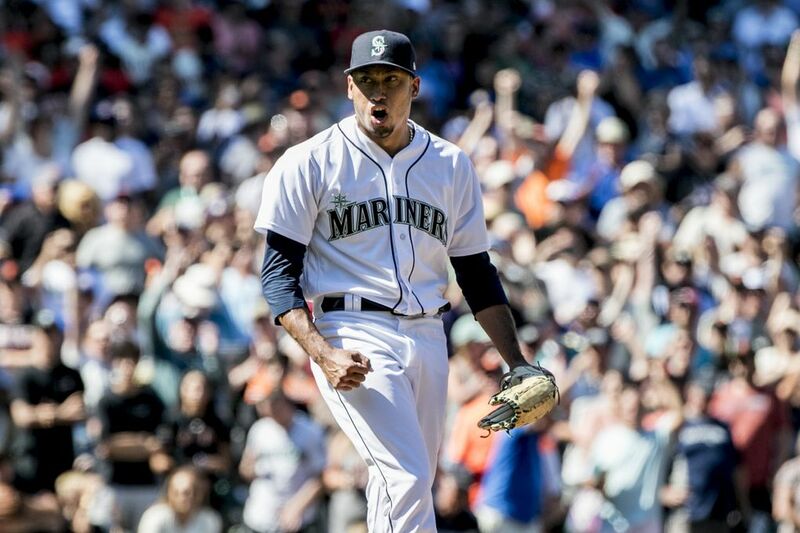 Unfortunately for fans, the magical season was Diaz’s last in a Mariners uniform. He was traded in December to the Mets with second baseman Robinson Cano. The undersized 6-foot-8 Dickerson put all of his offensive brilliance on display in the Huskies’ 78-75 win against No. 9 Arizona on Feb. 3. In front of a sold-out Alaska Airlines Arena, Dickerson performed a pirouette in the paint against 7-foot-1 defensive menace Dendre Ayton, who was the No. 1 overall pick in the NBA draft, for a game-high 25 points on 10-for-16 shooting and seven rebounds in 33 minutes. 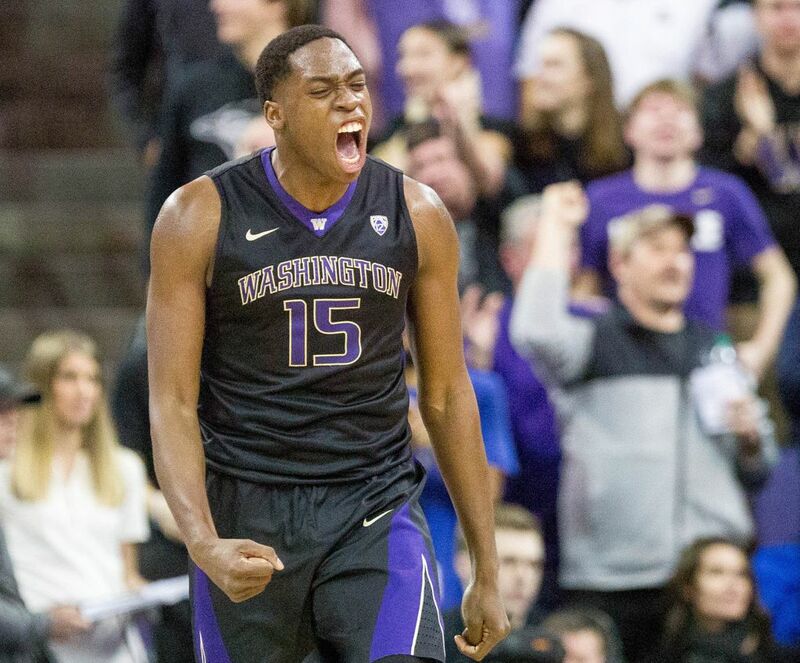 The game was symbolic of Dickerson’s breakout junior year when he was the catalyst for UW’s surprising 21-13 season that ended in the second round of the NIT. He averaged 15.5 points and 8.4 rebounds – both career highs – and was a first-team All-Pac-12 selection. It was going to take a lot for Seahawks fans to warm up to the man who replaced veteran punter and fan favorite Jon Ryan. 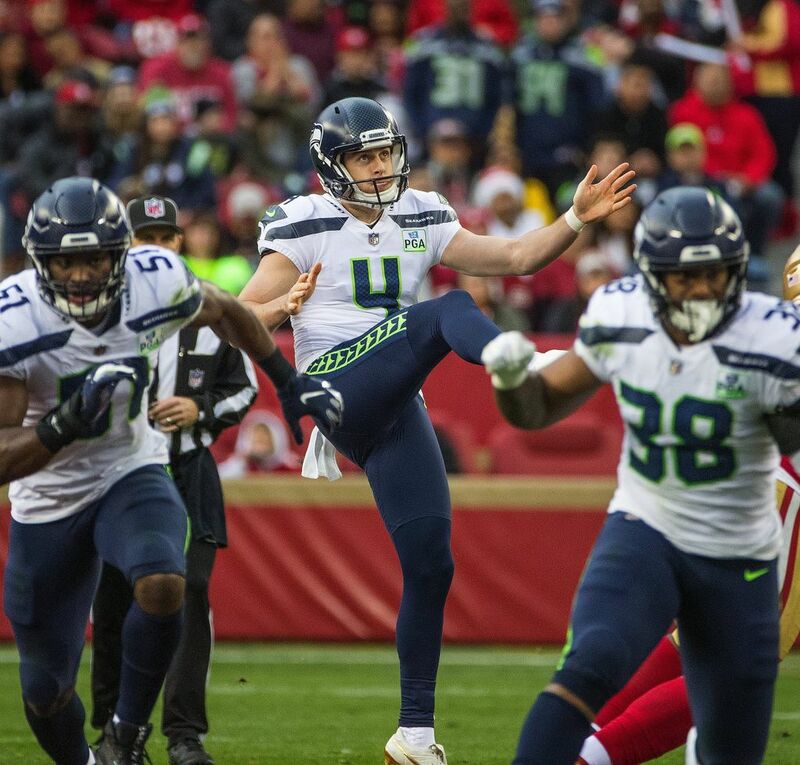 But Dickson was up to the challenge, turning in one of the best seasons for any Seahawks punter. It was evident from the moment Dickson was drafted in the fifth round last April that he would get the job. Electric performances in the preseason followed, and Ryan was gone in mid-August. Dickson set a franchise record for net punting (57.5 yards) in his first game, and a few weeks later pulled off one of the plays of the season in Detroit when he eschewed orders to run out of the end zone and take a safety late in the game, instead turning upfield and barely getting a first down. Gaskin ran untouched for the first 75 yards. Washington State cornerback Marcus Strong finally caught up to him at the 5-yard line, but by then it was too late. Strong’s sliding tackle into the end zone — in a snowstorm — served only as a fitting joy ride for Gaskin, whose iconic 80-yard TD run early in the fourth quarter was the exclamation point in No. 16 Washington’ 28-15 victory over No. 7 WSU, the Huskies’ sixth consecutive Apple Cup victory. 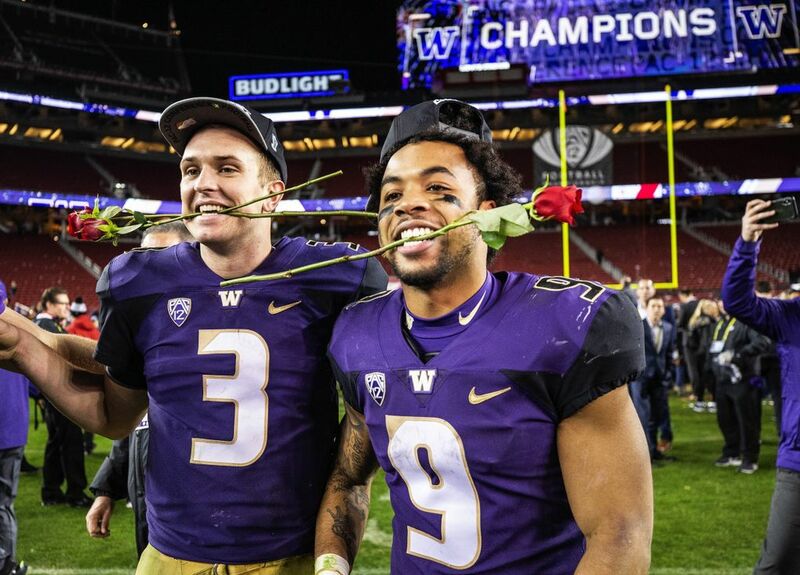 It was on that run that Gaskin became the first Pac-12 running back to rush for 1,000 yards in four seasons, and the Lynnwood native will cap off one of the most accomplished careers in program history against Ohio State in the Rose Bowl. 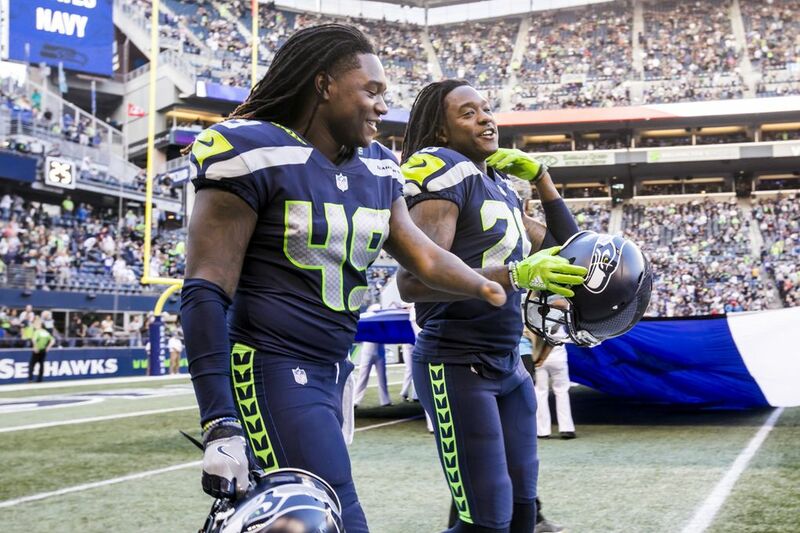 Simply put, there was no better story in the NFL draft than the Seahawks’ selection of Griffin to pair with his twin brother Shaquill, a second-year Seahawks cornerback. It was the latest chapter of his amazing story of perseverance. Shaquem’s left hand was amputated when he was 4 years old due to Amniotic Band Syndrome. If it all seemed like an amazing fairy tale on draft day, the realities of the NFL intruded a bit once the season began. The Seahawks moved Griffin to a new position, weak-side linebacker, and injuries meant Griffin started the season opener at Denver. But he struggled early in a 27-24 loss and was replaced by Austin Calitro. He has been a regular on special teams since. There’s a reason the organization is hesitant to trade the 28-year-old outfielder as part of their “stepback” plan to rejuvenate an aging roster. Even though Haniger has the most trade value of any player on the roster, the Mariners believe his steady presence during the rebuilding will provide more of a return. 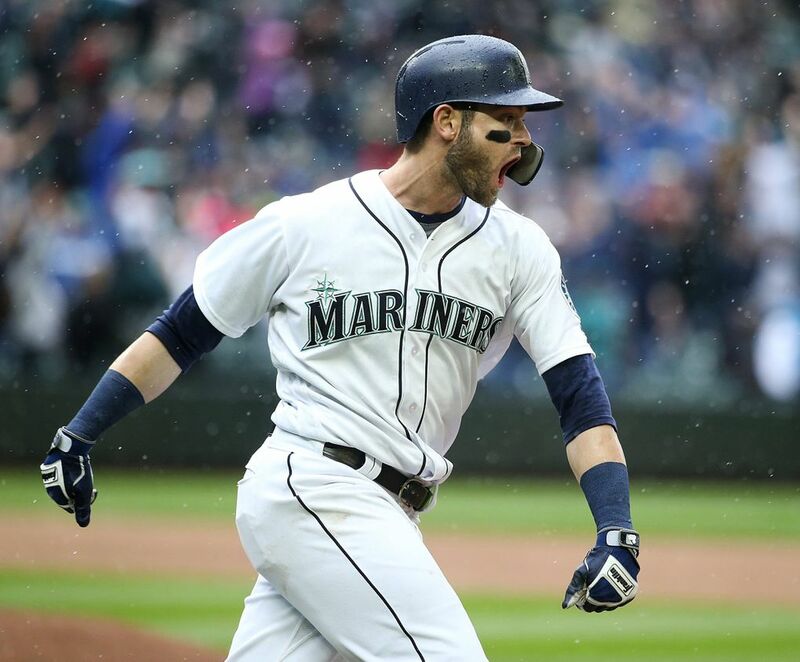 Haniger had a breakout 2018, being named to the American League All-Star team. He was Seattle’s most productive hitter for much of the season. With a mature approach and relentless preparation, he hit .285 with a .366 on-base percentage, a .493 slugging percentage, 90 runs scored, 38 doubles, four triples, 26 home runs, 93 RBI and 70 walks in 157 games. The former Seahawks president was tabbed in April to lead a group looking to bring an NHL franchise to Seattle. Having left the NFL, where he was the right-hand man to commissioner Roger Goodell, Leiweke quickly met with prospective minority owners, built the team’s business-operations side and wooed the city’s corporate community, all while lining up marketing experts to work on uniform designs and branding strategy. 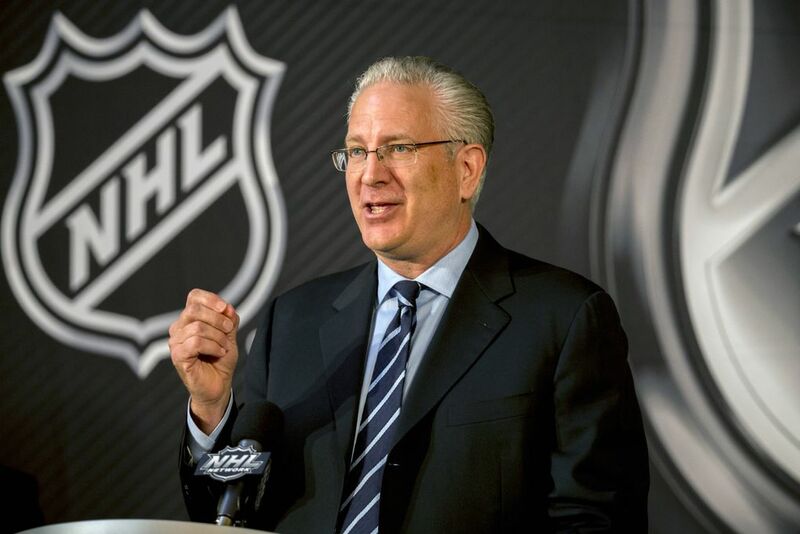 Nothing that happens with the team – granted by the NHL in early December and set to begin play in 2021 – takes place without Leiweke’s input. His next tasks in 2019: building a hockey-operations side, selecting a team name and preparing the sale of season tickets to deposit-holders. It’s no easy feat following in the footsteps of Kelsey Plum, the NCAA’s all-time leading scorer. And yet, Melgoza lit up the scoreboard with frequency and flair that made her predecessor proud. “Amber just needed a chance,” Plum said. After averaging just 2.1 points in limited minutes as a freshman, Melgoza exploded during a breakout sophomore season for 19 points per game. The 5-foot-10 guard from Santa Barbara, Calif., finished second in the Pac-12 in scoring in what was otherwise a forgettable season for Washington, which finished 7-23. She set a school record while scoring 23 points in a quarter during a fabulous fourth-quarter performance against Oregon. 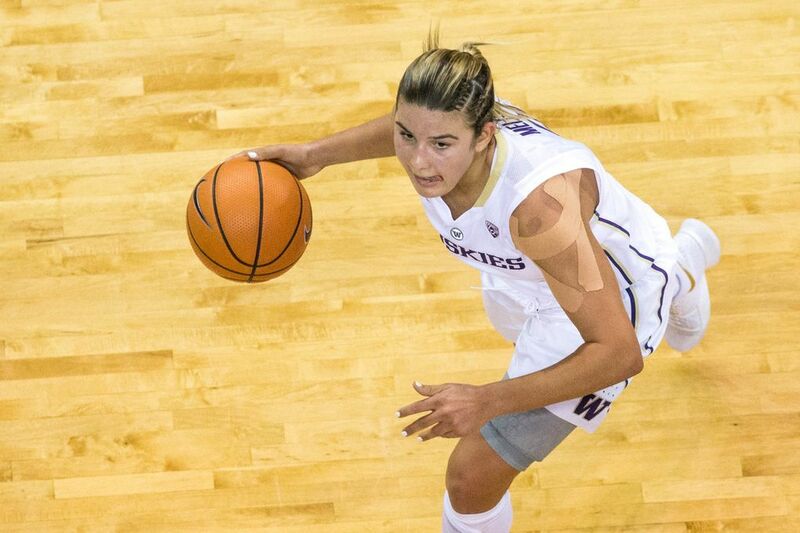 And Melgoza tallied 40 points vs. Stanford to join Giuliana Mendiola and Plum as the only Huskies to score at least 40. The quarterback was all set to transfer to Alabama for his final season after deciding to leave East Carolina. But that all changed early this year when Washington State coach Mike Leach called Minshew and asked if he would like to lead the nation in passing. So Minshew became a Cougar and led the nation in passing yards per game and set the Pac-12 record for passing yards in a season (4,476) while leading WSU to a surprising 11-2 record, the first 11-win season in program history. 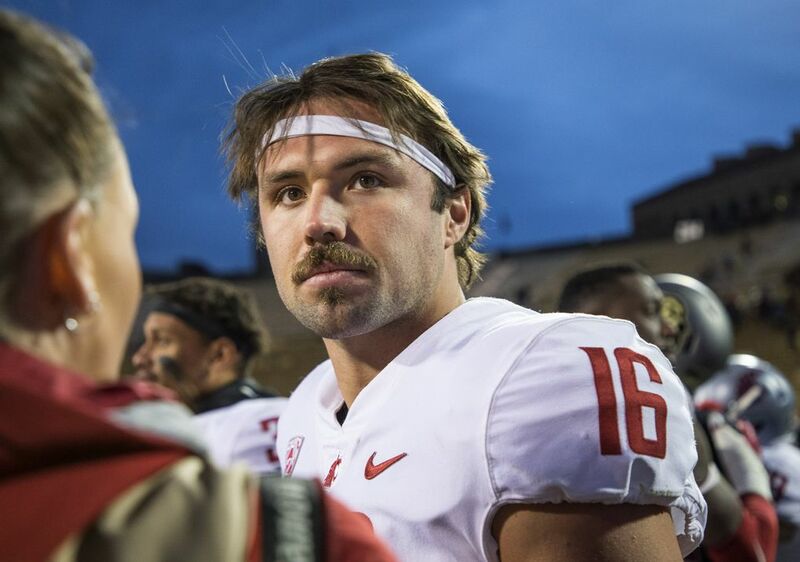 Minshew quickly became a fan favorite in Pullman, with people all around town sporting mustaches (fake and real) in honor of Minshew, who finished fifth in Heisman Trophy voting. The 5-foot-10 senior wing capped a stellar career by leading Seattle University into the NCAA tournament for the first time in school history. She was one of three players nationally to lead her team in points (19.6 per game), rebounds (10.1), assists (3.0) and blocks (24). She led the Western Athletic Conference in points (618) and rebounds (326) and is the first player in WAC history to record two triple-doubles. Montgomery finished her career as the seventh-leading scorer in program history with 1,423 points. 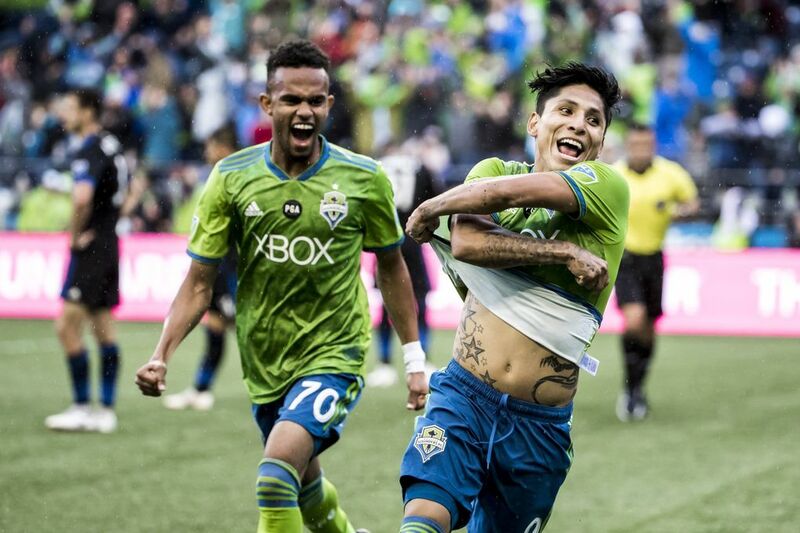 The Sounders were off to the worst start in team history and struggling to score when 5-foot-7, 143-pound Peruvian striker Ruidiaz was added during the summer-transfer window. He went on to score 13 goals in 14 regular-season games and added two more in a pair of playoff contests. His exploits helped the Sounders post an MLS-record second half of play that vaulted them to the No. 2 spot in the Western Conference and a first-round playoff bye. His goals-per-match average over 16 regular-season and playoff games equate to what would be a league-record 32 over a full season. Who had a better year than Stewart? Just 24 years old, she emerged as the new face of the Storm, the WNBA and the sport. 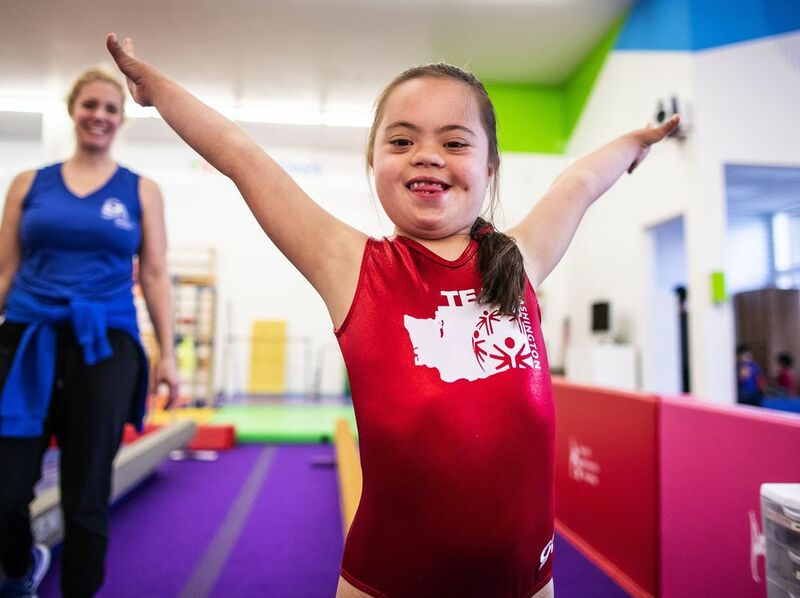 In 2018, she won it all. The 6-4 forward averaged 21.8 points, 8.4 rebounds, 2.5 assists and 1.4 blocks en route to winning the league’s MVP award. 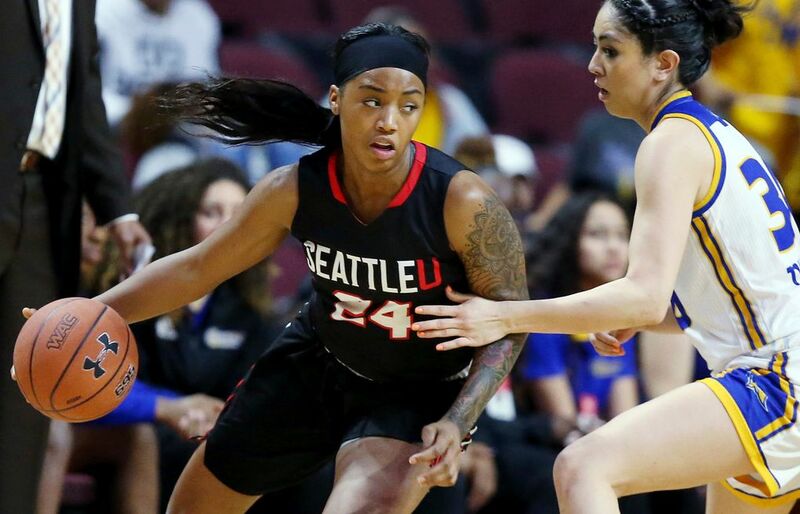 In the Finals, she averaged 25.7 points and led the Storm to a 3-0 sweep of the Washington Mystics for the team’s third championship and her first Finals MVP trophy. 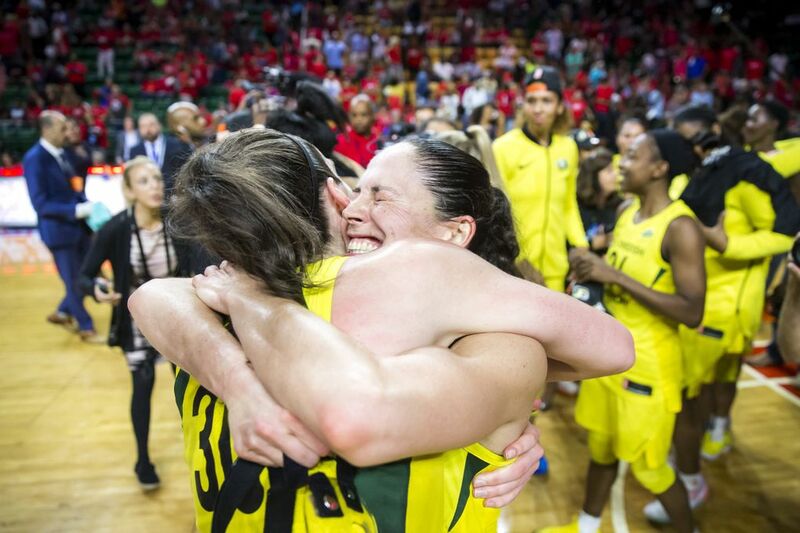 Two weeks later, Stewart earned a gold medal with the U.S. national team that was 6-0 at the FIBA Women’s World Cup and, of course, was named MVP. Off the court, Stewart bared her body for ESPN the Magazine and advocated for sexual-abuse victims, equality for women athletes and voter registration. 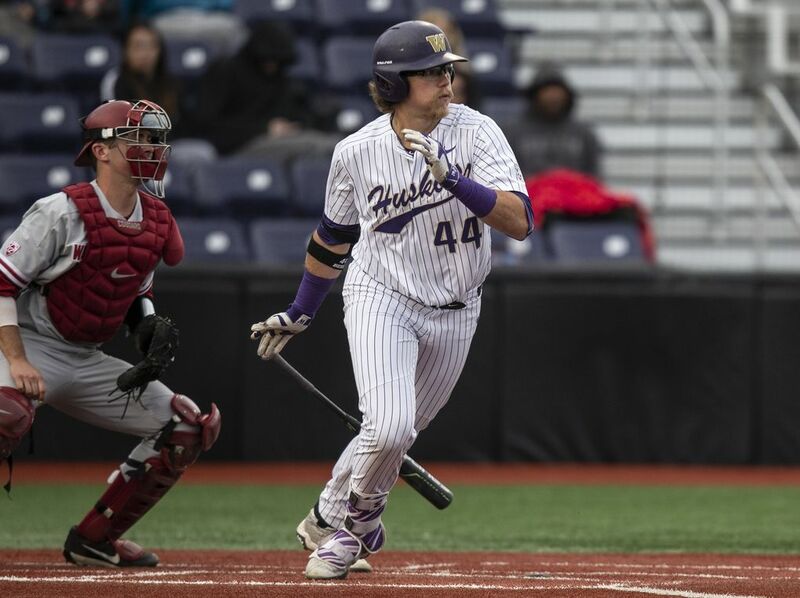 The Huskies certainly didn’t seem headed to their first College World Series when they were 7-8 entering Pac-12 play, but they ended the season in Omaha, getting great offensive production from Wainhouse, their 6-6, 255-pound junior designated hitter. He was an All-Pac-12 selection, leading UW in home runs (19) and RBI (61). Wainhouse, who not only hits prodigious homers but can also pitch when needed, batted .306 overall and had 13 homers over the last 20 games of the season. Wainhouse, whose father Dave pitched for the Mariners, is back for his senior season at UW.